/ SpaceX’s Falcon 9 rocket goes vertical on Wednesday morning in Florida. This is an extraordinary week for orbital launches. On Monday, alone, a Soyuz rocket carried three humans into space, en route to the International Space Station. Then, a Falcon 9 rocket launched 64 smallsats into orbit about 500km above the planet. On Tuesday, the flurry of activity continued when an Ariane 5 rocket lofted two large satellites to geostationary transfer orbit. This capped Arianespace’s launch program for the year. 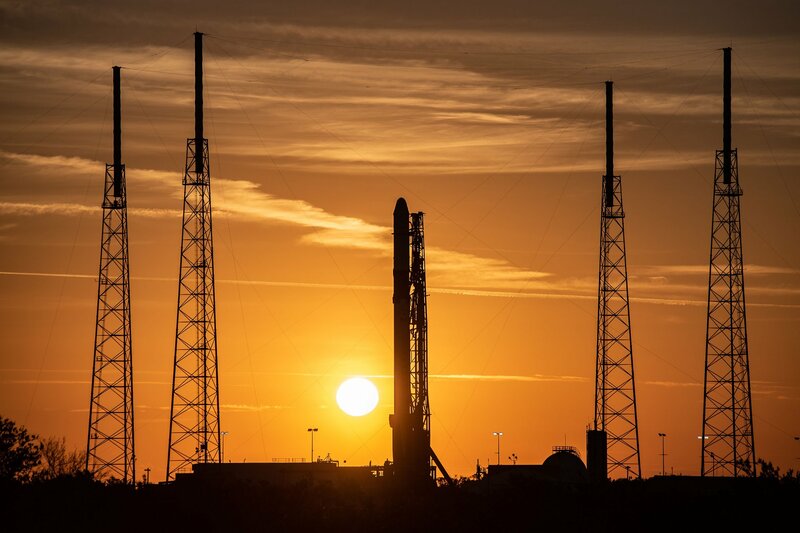 The action continues on Wednesday, with the launch of another Falcon 9 rocket carrying the Dragon spacecraft into orbit, scheduled for 1:16pm ET (18:16pm UTC). This is an instantaneous launch window, and the mission will ferry 2.5 tons of supplies to the International Space Station, including materials to support 250 experiments on the orbiting laboratory. But wait, there’s more. On Friday, two separate Chinese rockets will launch, including one carrying the Chang’e 4 mission, which will attempt to make the first-ever successful landing on the far side of the Moon later this month. China has led the way this year among nations in terms of launch, with a total of 34 orbital flights so far. Finally, on Friday night, United Launch Alliance’s powerful Delta IV Heavy rocket will launch a large, classified spy satellite for the National Reconnaissance Office from Vandenberg Air Force Base in California. All told, there have been 101 orbital launches so far this year, the first time there have been triple-digit launches in a calendar year since 1990, when there were 120 total launches. Wednesday’s mission will also represent a nice, round number for SpaceX. This will be the company’s 20th launch for the year 2018—surpassing by two its record total of 18 launches in 2017. SpaceX potentially has two more missions remaining this year: a critical Global Positioning System flight for the Air Force from Cape Canaveral in Florida and 10 commercial satellites for Iridium from Vandenberg AFB in California. The SpaceX flight scheduled for Wednesday will use a new Block 5 booster (so it will be white and shiny rather than dark and scorched), with a refurbished Dragon capsule. The rocket’s first stage will attempt a landing at SpaceX’s site along the coast, Landing Zone 1. Weather at this time appears favorable for the launch. The webcast below should begin about 20 minutes before liftoff.